Here you can find the best online casinos and gambling sites that accept USA players and the most important details you need to know before playing slots online for real money from US. First of all, since 2006, not all online casinos accept US players, nevertheless the variety is still enormous. In the table below we have listed the best casinos for USA players, based on their overall reputation, trustworthiness, customer service and the bonuses they offer. *Please notice that some casinos are not available in all states, so if it’s relevant, please check our New York online casinos and Michigan casino sites pages. It’s not easy to choose were to play, so we will try to assist you in that. The most important factor that you need to check, we might even say the only factor you need to check is that it is reliable and trusted. As in every industry, there are good companies and bad companies and US online casinos industry is no different. We make profound tests before placing a casino on our site: depositing, talking with the support, using different bonuses, checking the withdrawal process, go over their history and make sure that they a have clean sheet in all the aspects of their relations with players. All the casinos that are listed on our site passed these tests, so you can feel 100% comfortable picking anyone of them. If you want to play in another casino that is not listed here- that is 100% ok, but we highly recommend that you spend some time and check it out yourself. For US players, adding funds to your casino account can be slightly complected, mainly due the chaotic state of US online gambling legislation which varies from state to state. To save you trouble, we have a list of casinos for every popular USA casino deposit method. Currently, the easiest way to deposit funds into your casino account is by using one of the major credit cards, such as Visa and MasterCard or by prepaid vouchers, such as PasteandPay. The most popular slots for US players are RTG casino slots. Their dominant position on the USA online casinos market is not as it was in 2012-2013, but still almost 50% of players continue to play in RTG casinos. RTG casinos offer a great amount of different slot machines, from classic 3 reel slots to amazing 5 reel Video Slots. Their most famous slots are called Real Series Video Slots or RSVS. The only downside of RTG casinos is that in terms of graphics, they are a bit behind the names that we will list below. That’s pretty much the only thing against them. Personally, that is something that doesn’t bother me too much. I like exiting graphics and nice bonus features, but in the end, I come to play slots and not to sit for a minute each time watching some animation; so if you are looking for plain casino fun – RTG casinos are the place you should start. In the table above we have listed few of the best RTG casinos or you can visit our Best RTG casinos section for more variety. Next in terms of popularity for USA online casino players are the Rival casinos. Rival casinos offer an amazing variety of different slot machines: over 180 different Rival slots in total and new slots coming out every few months. Rival’s flagship is their Bonus Slots and their trademark i-Slots, which are truly amazing. It seems that Rival managed to combine all the best parts of Vegas brick and mortar casino with the advantages that online casino can offer: great graphics, very comfortable interface, slots for every taste. We won’t be surprised if in the near future they will become the most popular casinos on the US market. You can pick any Rival casino from the list above and you probably won’t be wrong. *If you are new to playing in online casinos – we suggest that you start with one of the Rival casinos. They placed a lot of effort in making everything simple, smooth and user friendly and they have done a great job. Here you can find reviews of best Rival casinos online. Next in line are BetSoft casinos. BetSoft casinos are relatively new on the USA online casinos market, but since they first appeared few years ago, they have been attracting more and more casino players to their slots. We can say that BetSoft changed the US casino market with their amazing slots, especially their 3D Slots series. It’s hard to find something bad to say about BetSoft casinos. 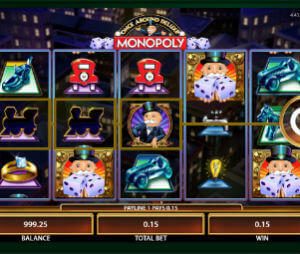 I have never seen slots like the ones that BetSoft offer, online or offline. If you are looking for something New, then without a doubt you should start with one of the BetSoft casinos that are listed here. (You can check our BetSoft Casinos page to see what we are talking about). If you haven’t heard the name WGS Technology, then you are probably familiar with Vegas Tech software. VegasTech was the most popular software on the US market, with such known brands as Golden Casino, Go casino, and more. They were responsible for almost 80% of the bets placed by US players. However VegasTech company got sold and renamed to WGS. They haven’t managed to gain the market share that they had in the past, but they haven’t lost their ability to make great slot machines. There are 2 WGS casinos that stand high above the rest: Miami Club and Lincoln Casino. It’s worth mentioning that WGS are good only in download mode, so if you are looking for in-browser play check our USA flash casinos online page. RTG casinos: the most popular slots for US players. Great variety of classic and video slots- over 200 different online slots machines. Cons: a bit behind in terms of graphics. Rival casinos: Nice variety of slots. Known for their i-Slots series. Very friendly interface for beginners. BetSoft casinos: If the word “New” makes your heart beat faster- check BetSoft slots. They are also the only US online casinos to offer a wide variety of 3D Slots. WGS casinos: Formally known as VegasTech. Controlled the US market from 2006 to 2012. Unique slots. Best online slot tournaments.